The Phoenix Tri Aquathlon Series (swim/run) events will once again take place at Guildford Lido during the Summer of 2017. 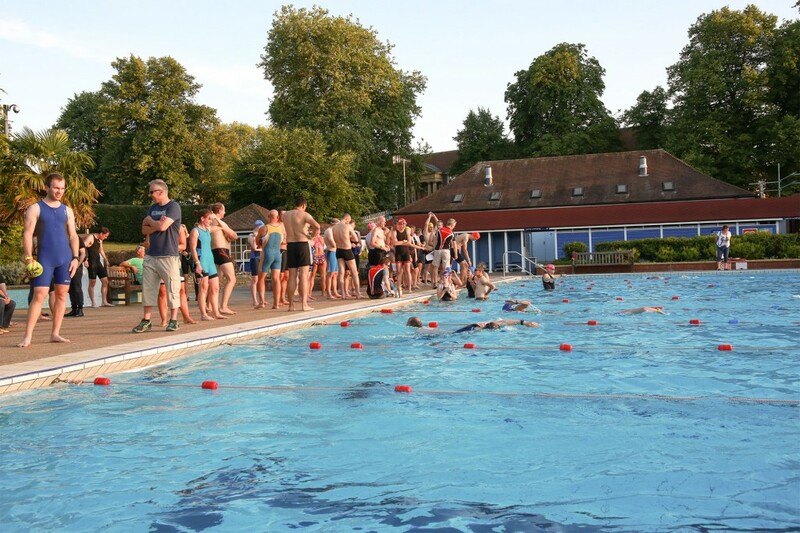 Organised by Guildford’s Phoenix Triathlon Club, the swim takes place in the heated 50m Guildford Lido, with the run leg taking athletes around scenic Stoke Park nearby. 2017 Race Dates: Fri 12 May, Fri 23 June, Fri 4 August. All races will start at 7:15pm. A Triathlon England sanctioned event, the Phoenix Tri Aquathlon Series will see adults complete a 500m swim followed by a 5km run, whilst children from 8 to 14 years will complete distances appropriate to their age. To find out more and enter online visit aquathlon.phoenixtri.co.uk or the Phoenix Tri Aquathlon Facebook page. Follow Phoenix Tri Club on Twitter and Facebook. For more information about the Guildford Lido, check out their website, Twitter and Facebook pages.